Paribus Review: Is Paribus a Scam or a Legit Way to Save Money? Home/MMM Home, Save Money/Paribus Review: Is Paribus a Scam or a Legit Way to Save Money? Wondering if Paribus is a scam or legit? My Paribus review will answer all your questions so keep reading to find out. Have you heard all the buzz about the new money saving app, Paribus? Paribus actually is not all that new, it’s been around since 2014. But in 2016 it was bought out by Capital One, which when it started gaining more exposure and traction. Of course, any time I hear about a free, new, and easy way to save money, I have to give it a try to see if it lived up to all the hype. I’ll share with you everything I’ve learned in this Paribus review. My conclusion is that Paribus is a great way to save money without having to really do anything. Of course, there is room for improvement but it is certainly worth signing up for. 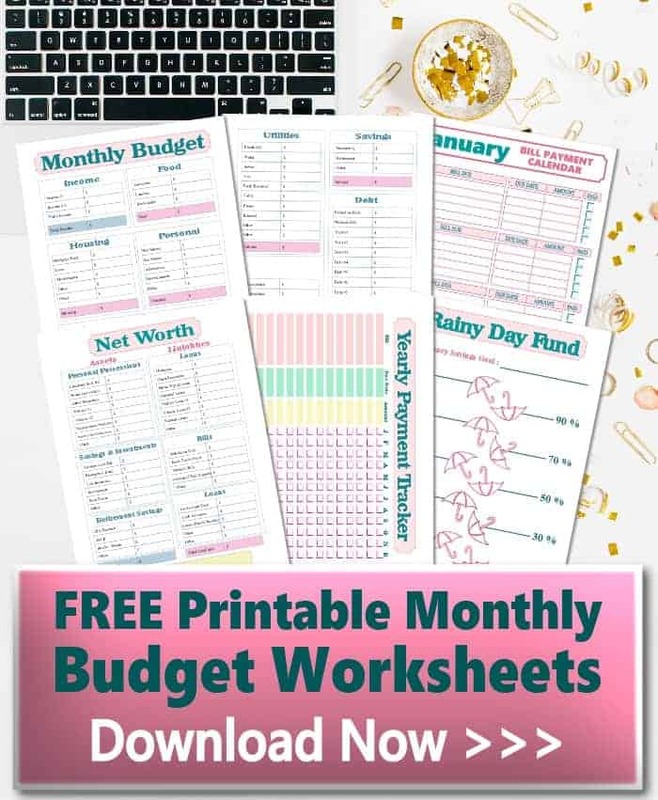 So if you’re looking for an easy way to save money, keep reading my Paribus review where I answer all your questions and you decide if it’s worth giving it a try. Why does Paribus need access to my email? How do I sign up with Paribus? Does Paribus work with Amazon? How does Paribus pay me? 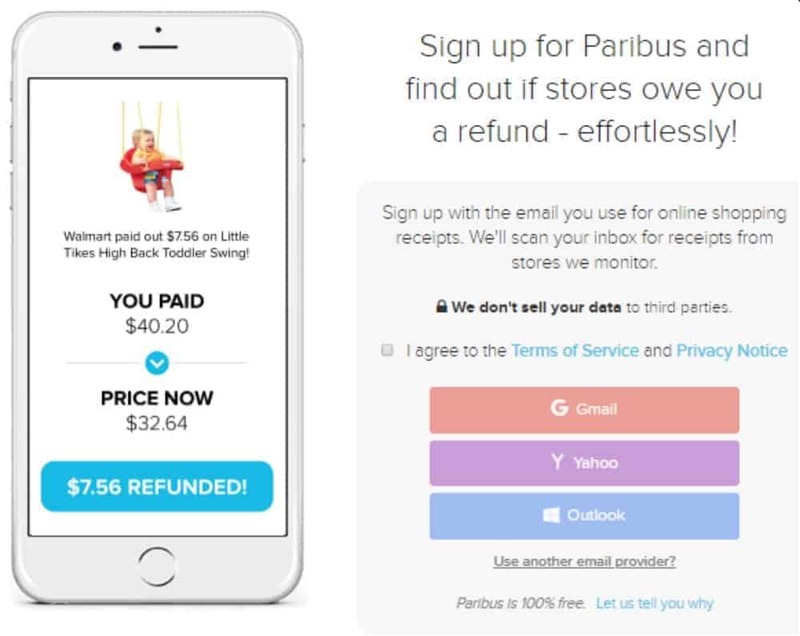 Paribus is a website that helps consumers save money by reviewing your online purchases. If it finds a lower price for the exact products you’ve bought, it’ll get you a refund for the difference. Have you ever made an online purchase then found a better price for the exact same product at another online store a few days later? We then regret not making more of an effort to find the best prices. I think we’ve all been in this situation before. But the thing is, comparison shopping can be really time-consuming. Sometimes we are in a rush to buy something we need and don’t take the time to look for better prices. Other times we do our best to find the best price but then the price drops right after we’ve made the online order. It can be frustrating, to say the least. And filing a price match claim is not ideal. It takes time, time that many of us don’t have enough of as it is. This is where Paribus comes in to help take care of this tedious task so you don’t have to. The concept is pretty simple, many stores offer a price match guarantee. This means that anybody can file a price adjustment claim if they find a lower price on a product that they purchased. 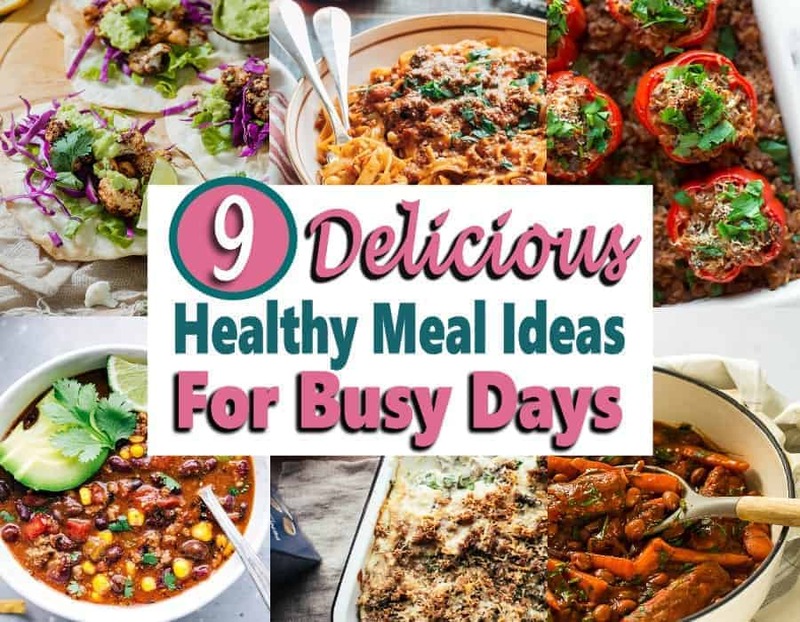 As you might imagine, this could be quite a time-consuming task if you did it yourself. Which is one of the reasons why I think Paribus is worth signing up for. 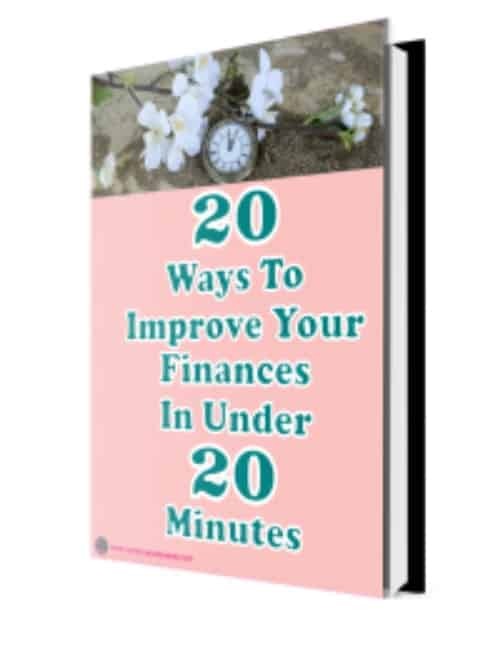 Anytime I can save not only money but my valuable time, I think that’s a win-win situation. Things being equal…that’s a fitting name for Paribus. So far, this sounds pretty good, right? But the big question would be, is Paribus a scam? It’s a legitimate question since there have been some Paribus complaints. The most common complaint that I’ve heard is that some people have been using it for months and have never gotten a refund for anything. Based on my experience so far, it’s not a scam. I’ve only been using it for a relatively short time, yet I’ve gotten one refund or a purchase. Since I consistently comparison shop when making purchases online, I was actually pretty surprised that I was eligible for a refund. As mentioned above, Paribus looks for lower prices for items that you’ve purchased online. They file a claim on your behalf when they do find a better price on your purchases. You are then issued a refund for the difference. You’re probably wondering how it knows what you’ve purchased and how much you paid. Well, the thing is, they need access to your email address where the receipts for your purchases are sent. This was one of the biggest concerns I had when signing up for Paribus, which probably has you wondering, is Paribus safe? Think about it, how else would Paribus know what you’ve purchased online and how much you paid for them? In my opinion, giving access to my email is way less concerning than giving access to my online accounts with all my credit or debit card information. If you are really worried about this, you can easily open a separate email account specifically for your receipts to be delivered to. The sign-up process is pretty simple, go to their website and sign up with the email address you receive your digital receipts to. Once they have access to your inbox, they scan for any current receipts that might qualify for a price match refund. Note: Paribus also has an app for iOS and they are currently working on building an android application. Currently, Paribus works with 30 merchants with price adjustment policies that support price drop refunds. 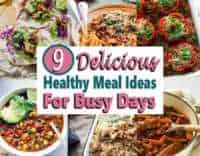 This list is subject to changes based on the store’s policies. In my opinion, I believe this list will only grow due to Paribus being acquired by Capital One. **This merchant list is as of March 2019. You can view an updated merchant list at any time here. You may have noticed that Amazon is not on the list of merchants that work with Paribus. This is a real bummer if you are like me and love shopping on Amazon. But because I used to sell on Amazon, I understand why they do not want to work with Paribus. You see, there are many 3rd party sellers on Amazon. If they would comply with a price drop policy, they would either have to pay for the refund themselves or pass it on to the 3rd party seller which really isn’t fair to them either. 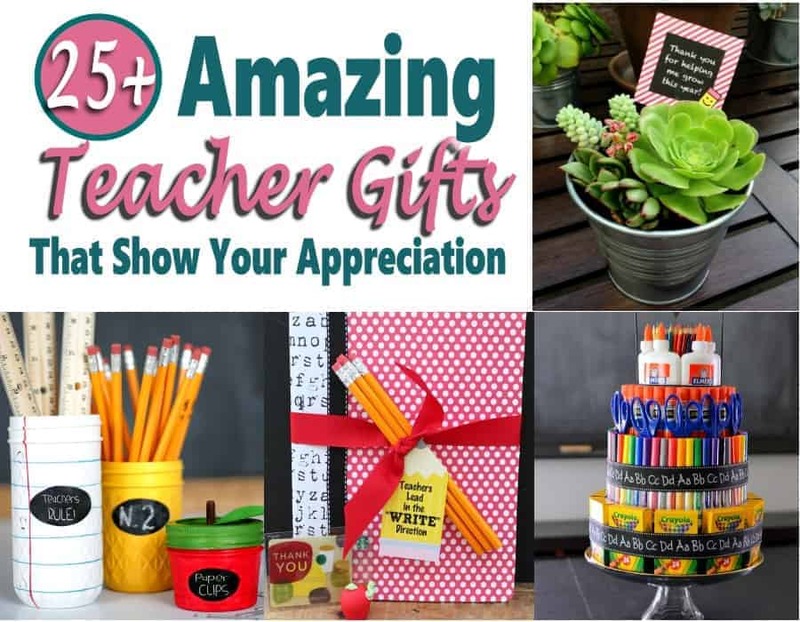 Paribus is not just for getting cash back on price drops when shopping online. It also alerts you for late package deliveries from Amazon. Again, Paribus scans your email and if they detect that a product purchased on Amazon was delivered late, they will notify you and send instruction on how to take action to get compensation. Getting you the best hotel prices is another Paribus feature. The process is pretty easy. 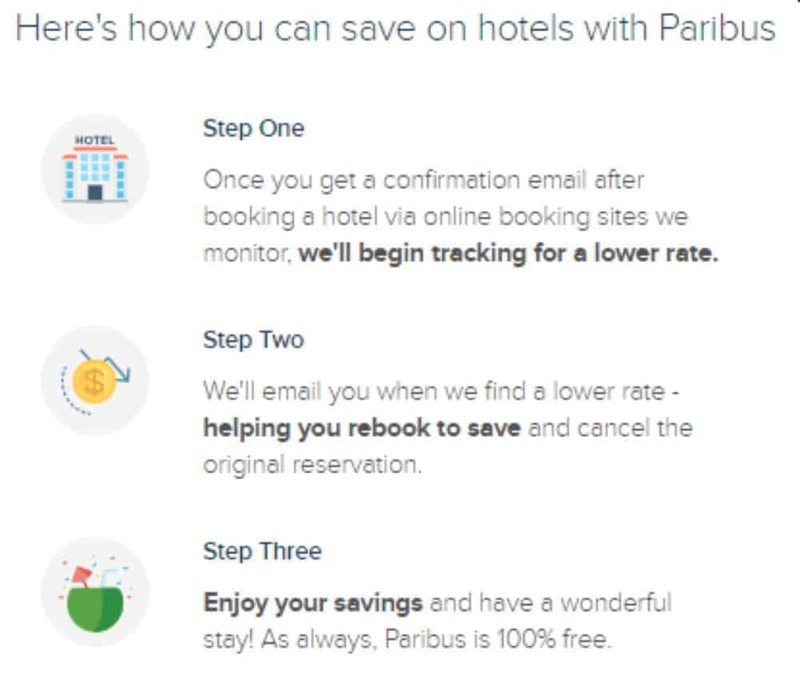 Once you book a hotel and get a confirmation email, Paribus gets to work and looks for better rates at comparable hotels. If they find a better deal, they’ll email you. If you want to rebook your hotel stay at the lower rate, Paribus will help you by canceling your original reservation and book your stay at the lower priced hotel. Your price match refunds are credited back to the card you used to make the original purchase, as long as your card is linked. If they aren’t, you have the option to get it deposited into your PayPal account. Currently, it is only available to people who live in the United States and Puerto Rico. It does not have an android app. It only works with certain email providers including Gmail, Microsoft, and Yahoo. If you’ve read this entire Paribus review, then you know that it is not a scam. It isn’t the best money saving app, but considering you really don’t need to do any leg work to get a price match refund, it is worth signing up for. It is also a fairly new company, so I can see it getting bigger in the near future. 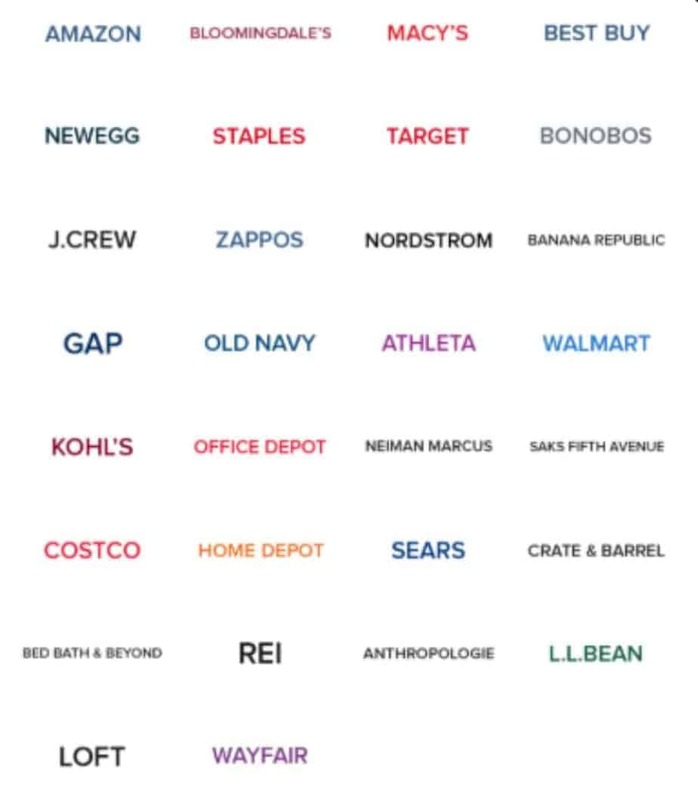 I expect to see more and more retailers added to their merchant list and will probably expand to include more services that’ll save us money. Ebates ~ Ebates is an online shopping portal that saves you money on most of your online purchases. They work with hundreds of online merchants to save you anywhere from 4% to 40% of your online orders. 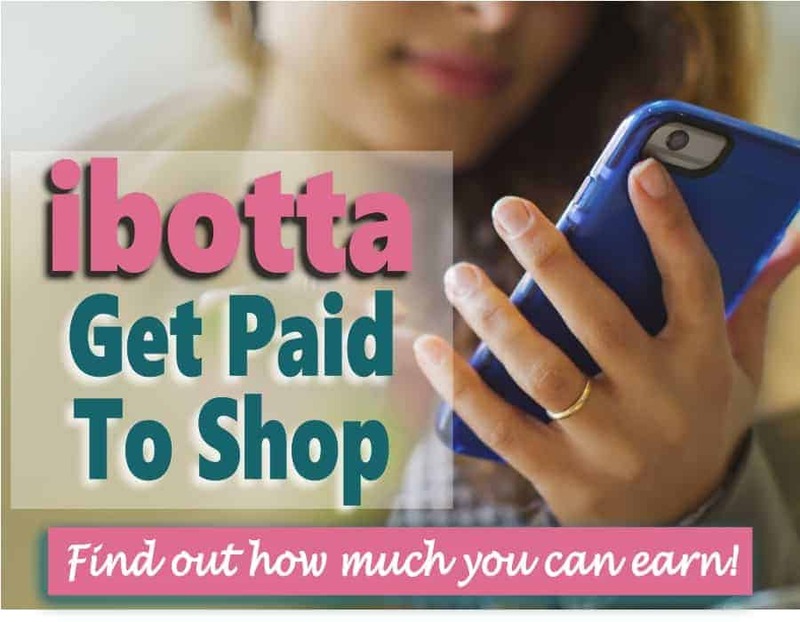 Ibotta ~ Ibotta is a money saving rebate app that can save you a bunch of money on groceries as well as online shopping. Simply sign up for Ibotta, then pick your offers. 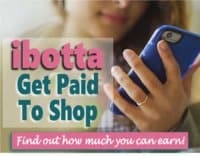 Once you purchase those products, Ibotta will add your rebate to your account balance. Trim ~ Trim is an app that analyses your spending habits to help find ways to cut out unnecessary expenses such as recurring subscriptions. It also helps to negotiate your bills down to get a better rate on things like cable and car insurance. 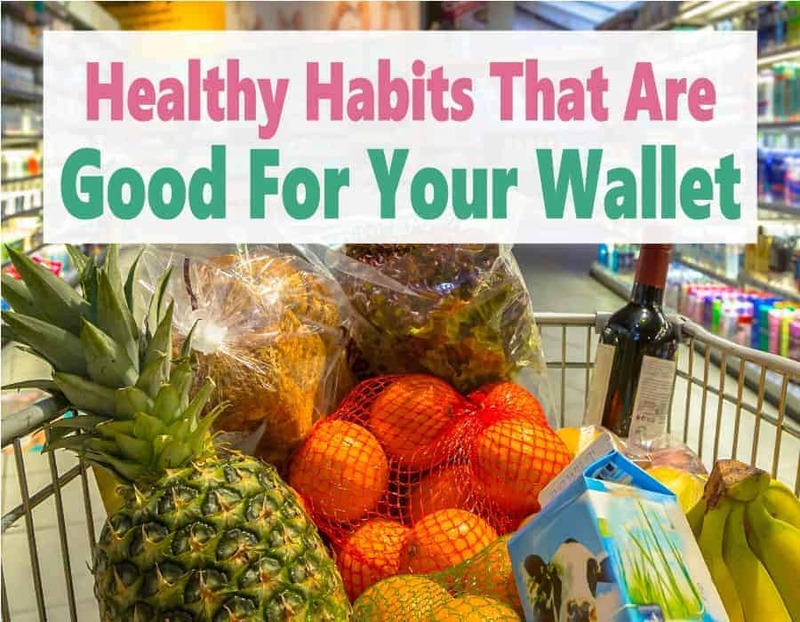 Check Out 51 ~ CO51 is an app like Ibotta that helps you save money on groceries. You’ll need to take a picture of your receipt and upload it to verify you’ve made the purchase. They’ll then deposit your cash back into your account balance. 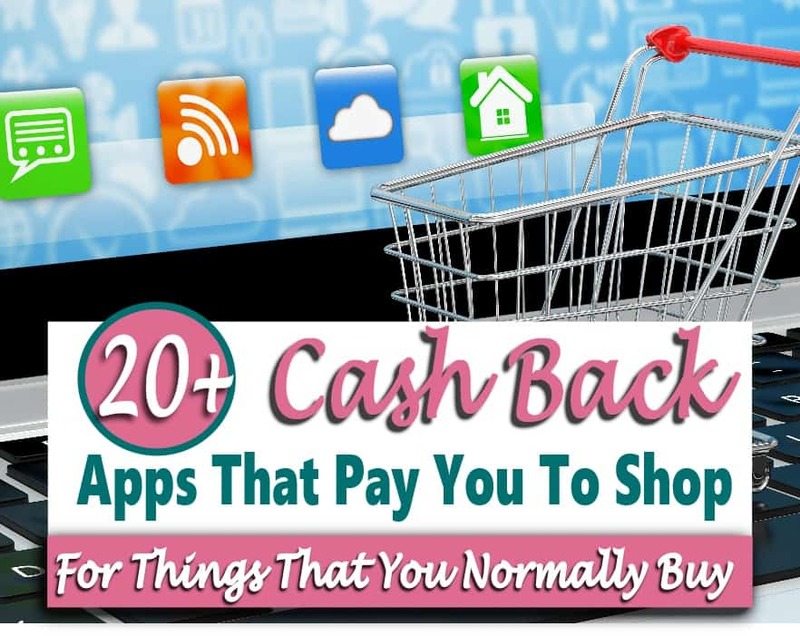 Top Cash Back ~ Top Cash Back is another shopping portal like Ebates where you save a percentage off your online purchases if you shop through their online portal. 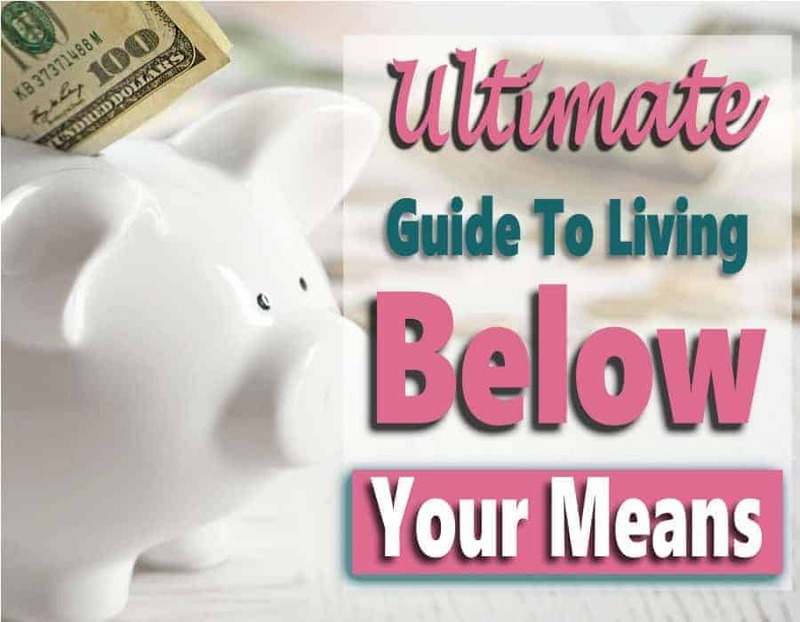 By Lisa|2019-03-16T13:50:37-04:00March 16th, 2019|MMM Home, Save Money|Comments Off on Paribus Review: Is Paribus a Scam or a Legit Way to Save Money? Ibotta Review: Is The Ibotta App Worth Your Time? 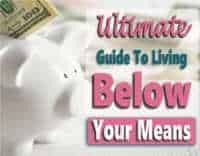 Sign up & grab your FREE eBook Today! !